Fiber optic refers to the technology that helps to transmit data as pulses of light through a fiber medium made of glass or plastic. It contains a vast amount of data that is less prone to electromagnetic interference. The invention of fiber cables has almost erased the traditional networking system. The fiber cables are generally used in internet, cable television, telephone, computer networking, lighting and decoration, mechanical inspection, automotive industry and many more. Although the fiber optics has the ability to improve the performance to an advanced level, this does not mean that these cables would not develop problems. Users are encountering various complicated issues with installation which are difficult to resolve. Ask for professionals to help and identify the problems with error free installation steps. Reach us soon for effective Fibre optic services in Dubai. The experts at UAE Technician are always willing to resolve your queries. Why choose our experts at UAE Technician? We are the leading service provider when it comes to optical fiber installation. Our professionals focus on providing you with tailored and customized services. Connect with our experts at UAE Technician and share your worries in detail. We are available throughout the day to help you out with necessary fixes. We listen to our clients patiently and then come up with solutions that provide desired results. Our experts walk extra miles to fulfill all your requirements. Resolve your queries by booking an appointment with us. The fiber cable stops working if there is a external damage. Permanent damage is caused to the fibers inside the cable, if the cable are getting twisted due to its excessive length. Severe problems can cause if the optic cable is stretched at a long distance. If the connectors of the optic cable is not fitted correctly can deteriorate the performance. Broken fibres within the cable. Noticed the above issues? Worried how to resolve? It is the time to end your worries. Contact us for instant fiber optic installation solutions. With years of experience, our experts had gained adequate knowledge to provide you with the best possible solutions. The highly trained professionals can smartly resolve any complicated issues that you keep on encountering. Whenever you are stuck with any problems related to optical fiber cable, connect with our experts by dialing our helpline number: 042053349 . We are efficient to provide our customers with an instant installation service at the time of their need. 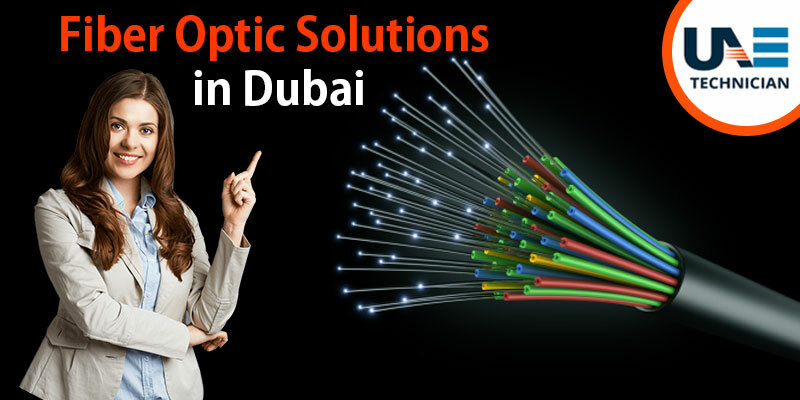 Another key point is that we also offer Fibre optic supplies in Dubai. Opt for our online services which are available round the clock to help the users with adequate installation solutions. In case you are too busy to talk, drop us an email enlisting your worries. You can also have a free consultation with our executives and have a detailed discussion about your problems. Stay in touch with us to experience flawless services. We also provide Door access control systems in Dubai.